By the end of the 1920s, Dali joined surrealism and developed a “paranoid – critical method” with which he extracted images and associations from his subconscious. The ‘funeral game’ was written in Kadaka in the summer of 1929 and was intended for the first solo exhibition of Dali in Paris. The theme of this period is masturbation, as evidenced by the huge hand of the statue and the numerous sexual fears and complexes of Dali. Among the spiraling turns of objects on the right, we see the head of the artist himself, on the lips of which sits a grasshopper, a creature before which Dalí felt a panic, inexplicable horror. The picture is full of skatological and sexual symbols. This picture was the central product of the huge Paris exhibition Dali held in the gallery Geman in November 1929. The painting was bought by the future patron of the artist Viscount de Noah. 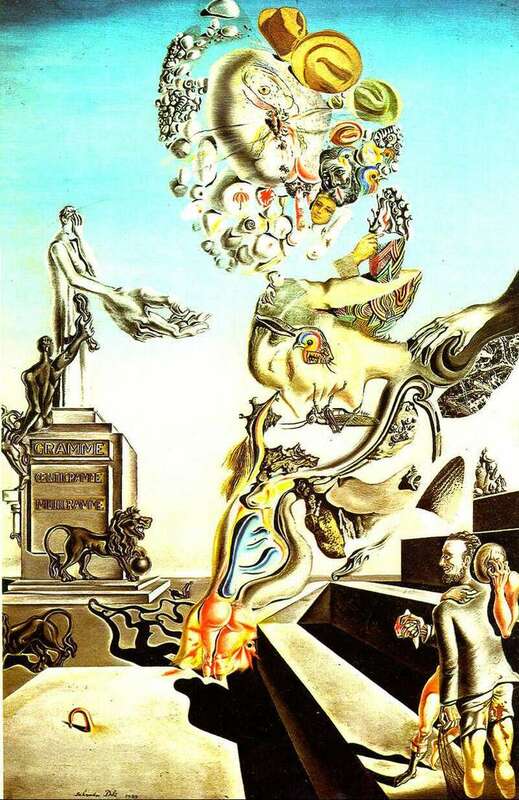 Description and meaning of the painting Funeral Game by Salvador Dali.